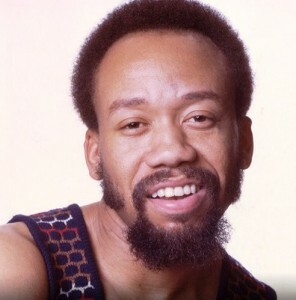 Just got the terrible news: Our beloved Maurice White, co-Founder of Earth, Wind and Fire has died in his sleep after a long battle with Parkinson’s disease. He was reportedly diagnosed in 1992, and stopped touring with Earth, Wind and Fire in 1994. Earth, Wind and Fire was inducted into the Rock & Roll Hall of Fame in the year 2000, and Maurice was individually inducted into the Songwriters Hall of Fame in 2010. Like fans everywhere, I’m devastated! I just wanted to play this song, one of my favorites from the 70’s: (Hearts Afire) That’s the Way of the World. Hope you’ll just sit back, listen and remember. In the meantime, here are the lyrics for (Hearts Afire) That’s The Way of The World. RIP Maurice White!